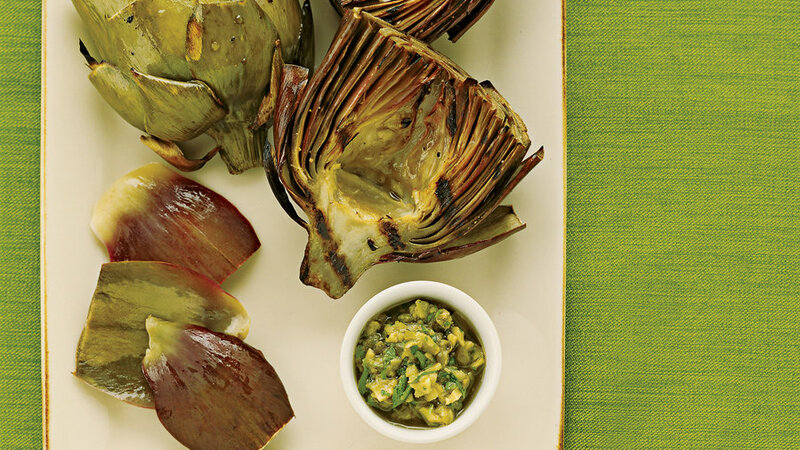 The perfect method for grilling succulent artichokes without a lot of fuss ― just steam, slice in half, and toss on the barbecue. 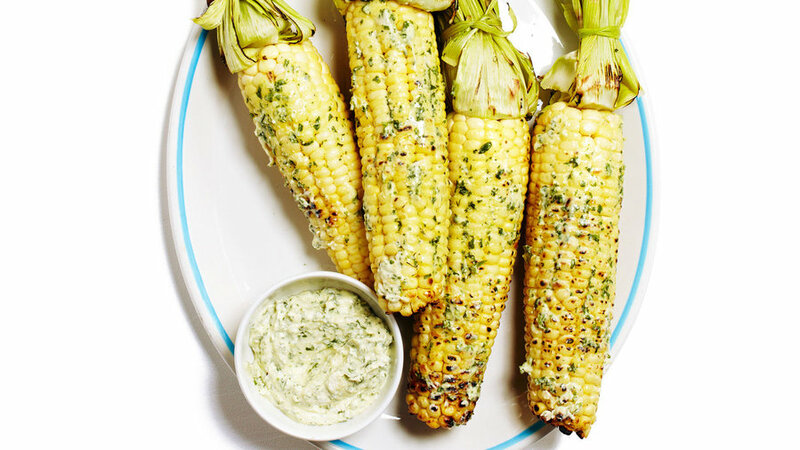 They’re even better when paired with our green olive dip. 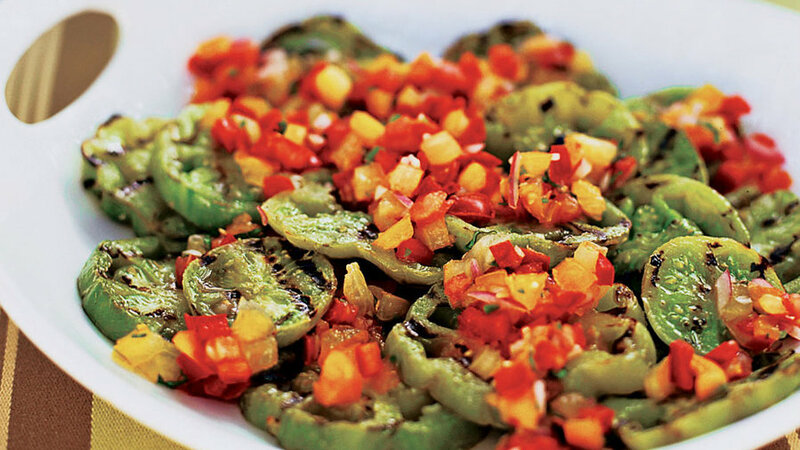 In a skillet cooked atop the grill, the tomatoes caramelize while keeping a soft shape. 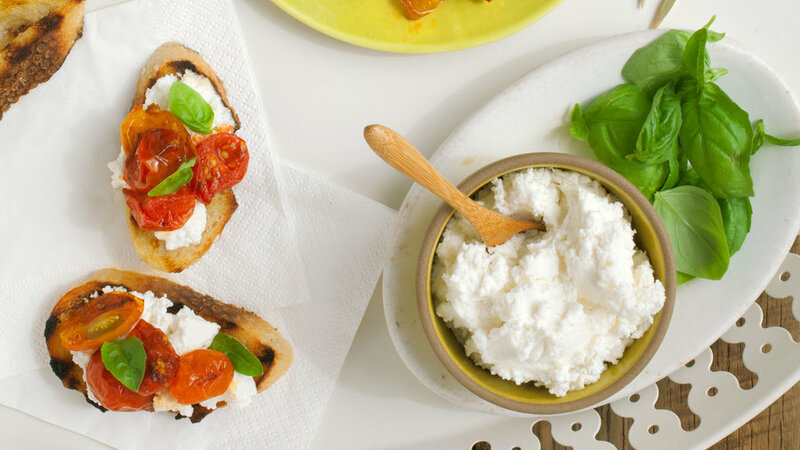 This makes for an easy and impressive summer party appetizer. 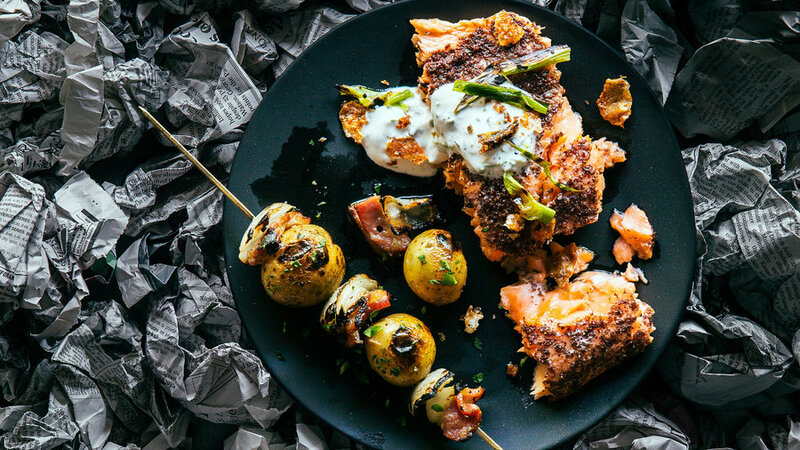 Add Latin flare to bland romaine with this tasty dressing. This Asian inspired dish gives great flavor to Bok Choy. 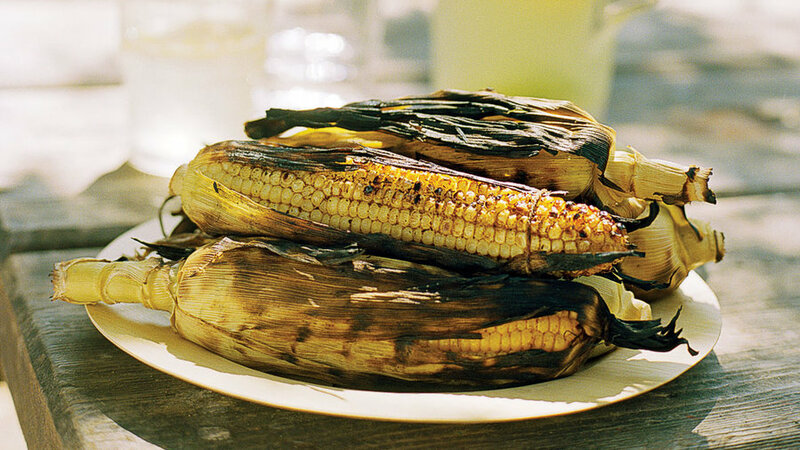 Golden honey brings out corn's natural sweetness, while chipotle chiles keep things spicy and interesting. Grilled lettuce? Oh yes. Trust us. 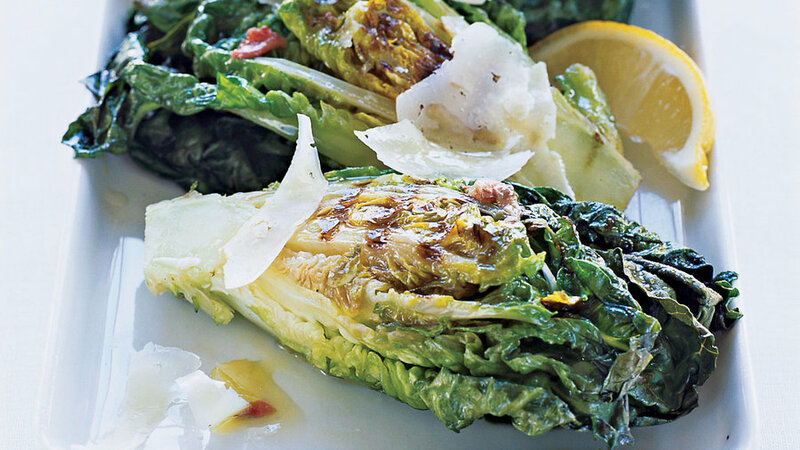 Crisp lettuces become a savory treat with a quick trip to the grill, a drizzle of zippy dressing, and a sprinkle of manchego cheese. 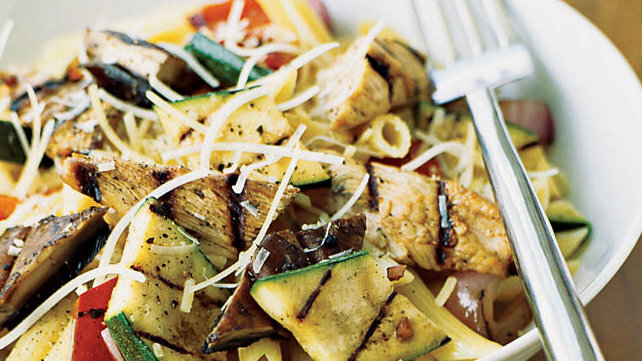 Toss everything on the grill: chicken, mushrooms, peppers, and ribbons of zucchini for a perfect one-dish summer dinner. 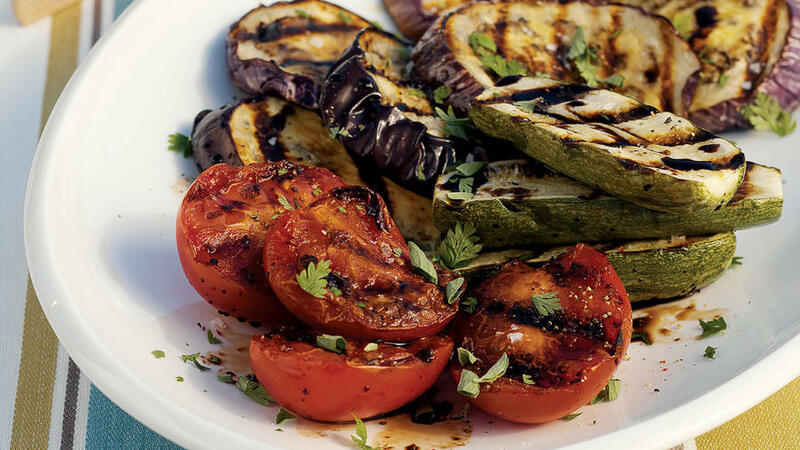 Here is the perfect, basic method for grilling summer’s bounty―these gorgeous veggies will come out right every single time.Try it with green onions and bell peppers too. 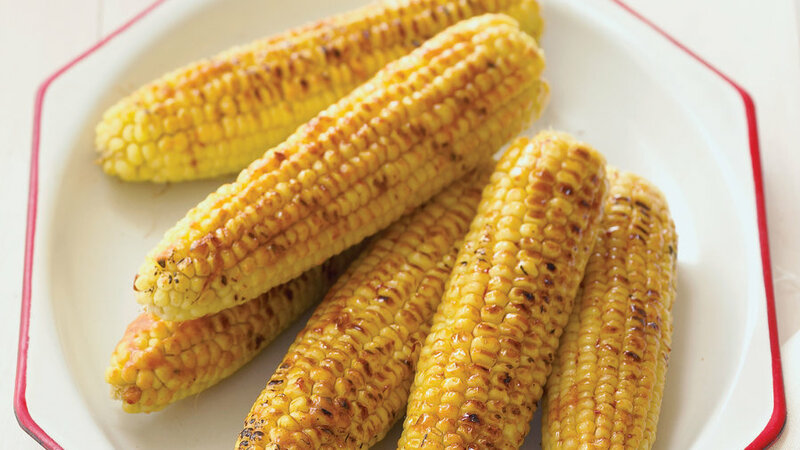 Lime and chili are the perfect complements to sweet and juicy fresh corn on the cob. 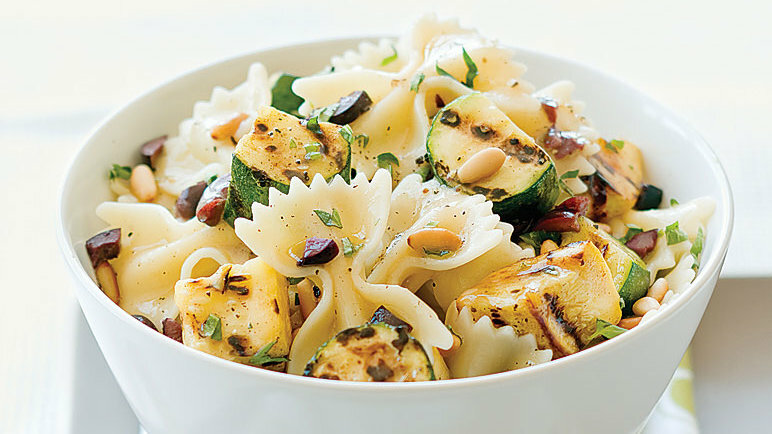 This healthy, hearty, veggie-loaded meal is as tasty as it is good for you. 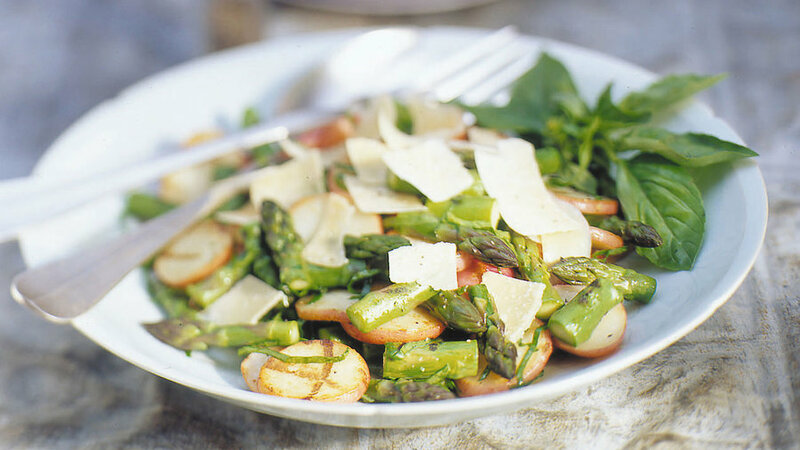 Creamy-crispy potatoes and asparagus cooked just-right make this grilled veggie combo especially satisfying. This double-tomato whammy highlights tomatoes in all their summer glory. 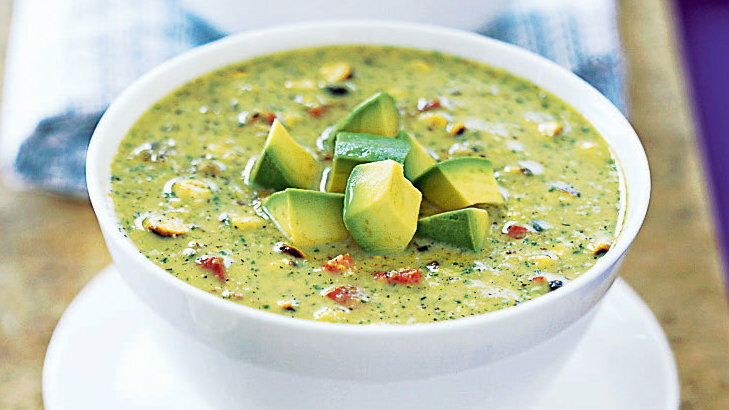 Plus, the salsa can be made ahead of time. 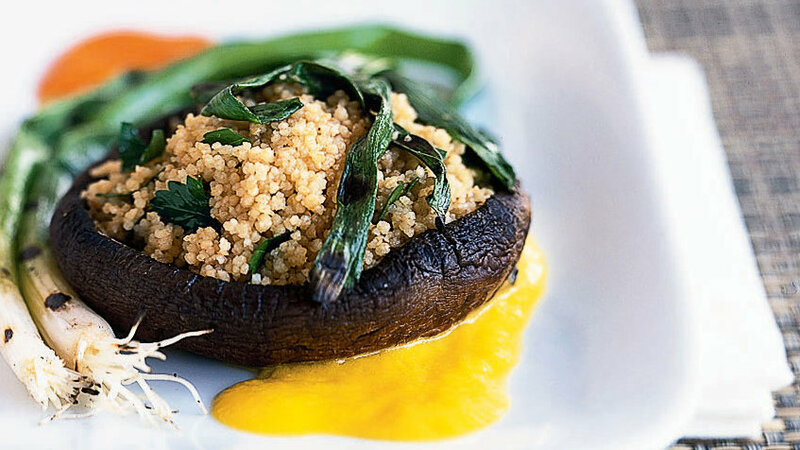 While some wines are a hard match for vegetables, Syrah works well with earthy and herbal veggies like eggplant, zucchini, and bell peppers ― especially when they're grilled. 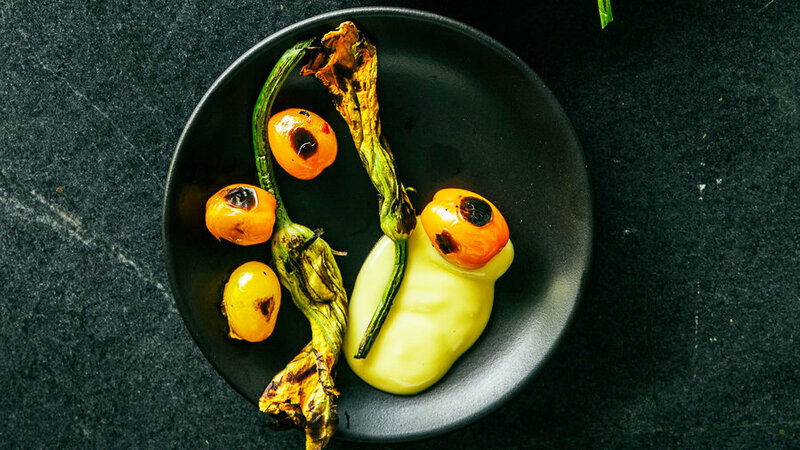 Chris Cosentino of Cockscomb restaurant in San Francisco likes to serve this barely seared appetizer hot. Since it requires a blazing fire, start with a fresh chimney, if you’re using charcoal.